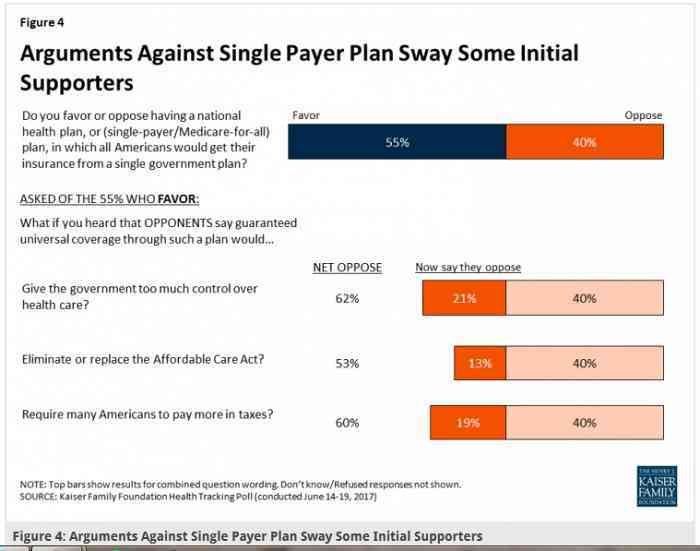 “While 55 percent of Americans say they want a single-payer/Medicaid-for-all plan, those in favor tend to change their minds when they hear that it means giving the government more control over health care, or that Americans would have to pay more in taxes. That tracks with other polling on the issue. A May poll from the nonpartisan Public Policy Institute of California found support for single-payer state healthcare at 65 percent statewide, but that number dropped to 42 percent when respondents were told at least $50 billion in new taxes would be required to pay for it. That’s a pretty optimistic view of the taxes that would be required to pay for single-payer in California; the actual cost would be well over $100 billion annually. BUT MORE IN TAXES WILL OFFSET COST OF MED INS MANY TIMES OVER.I AM VERY SATISFIED THE WAY MEDICARE WORKS FOR ME AS ARE MEDICAID RECIPIENTS WHO WOULD OTHERWISE HAVE NOTHING. . I am glad it is working for you. And ironically, those recipients of second class care, have that wonderful privilege because government has distorted the market with a program that is flawed and inefficient, causing recipients and providers to act in ways they would not normally do. 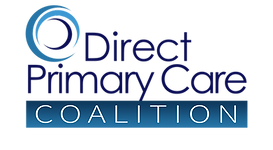 Not to mention suppressing innovation within the delivery of primary care and other inexpensive modalities due to rigidity of regulations. We can do so much better than Medicaid. At least we should have the dignity to make it voluntary through the program of tax credits rather than means testing. Then it could be the public option that few would opt for. Public programs should compete for citizen’s dollars on a Level Playing Field with non-public programs. Money should follow people, not government bureaus.